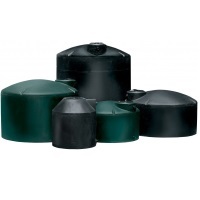 Color Tank reduces algae growth within water tanks and blends in with the environment. 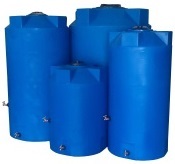 UV Stabilized (you can use our water tanks outdoors). Water tanks come complete with female threaded inlet/outlets* and a vented twist entry. Maintenance free, made to last. Applications include drinking water, fire protection, irrigation, disaster preparedness, and rainwater collection. Tanks supplied with 1" female threaded inlet & 1 1/2" female threaded outlet.